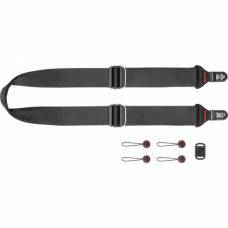 This category lists a variety of the best camera straps and harnesses. 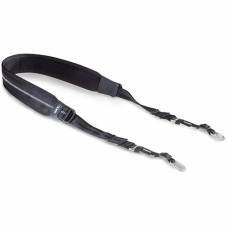 The conventional camera strap that goes around your neck causes a lot of fatigue and discomfort as it continuously places weight on your neck. 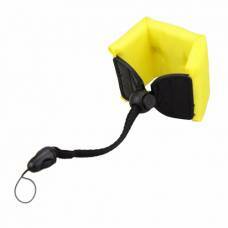 BlackRapid manufactures an alternative solution which places the weight on your shoulder. 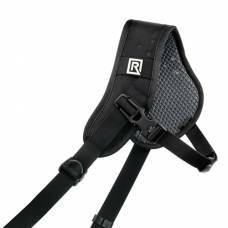 A number of camera straps are available for different styles of use and to accommodate different equipment. 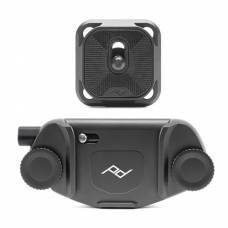 The BlackRapid Metro is perfect for compact cameras and the BlackRapid Kick is ergonomically designed for use by women. 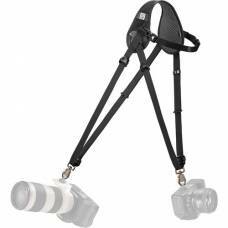 There is also a Double Breathe strap, popular with event photographers. 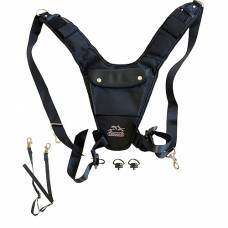 Outdoorphoto also stocks Trekking Safari harnesses perfect for use with DSLR cameras or binoculars. These are very popular in South Africa because of the great number of wildlife enthusiasts. Compact, cross-body strap that weighs a comfortable 176g. Comfy & reliable, rest assured that you will not to drop your expensive photographic gear. 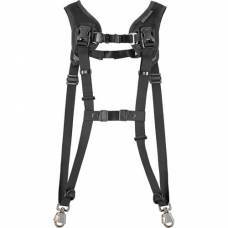 A slim fit harness for smaller-framed photographers. Made from moisture wicking, breathable Ariaprene padding of your comfort. For larger build photographers who want quick gear access when moving over rugged terrain. 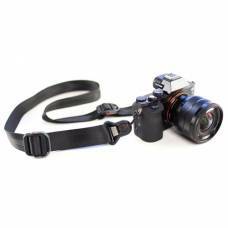 Rest assured that your DSLR is safe with this strong and ultra comfy camera strap. 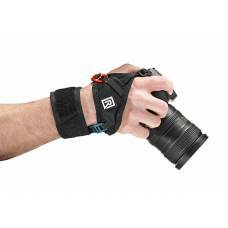 Secure your camera to your wrist as you keep it in your hand with the ladderlock BlackRapid Wrist Breathe. 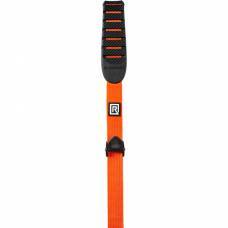 Keep calm and carry on with the Evoc camera shoulder strap pro fitted with comfortable padding. 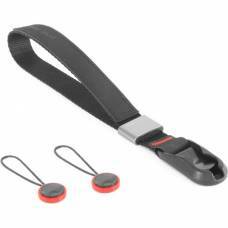 This Nikon Floating Wrist Strap keeps your camera secured to your wrist and afloat when dropped in t..
A sigh of relief as Peak Design presents a camera strap specifically designed for mirrorless cameras.. 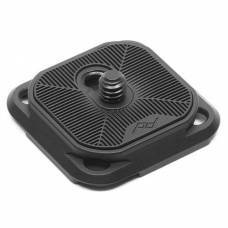 The Peak Design Standard Plate V3 is upgraded with a durable machined construction and a 50% lower profile. 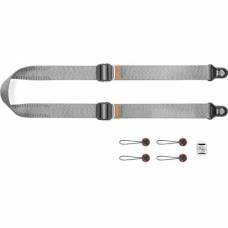 The Trekking Safari SwingUp For Two Harness allows you to attach two DSLR cameras, one for each han.. 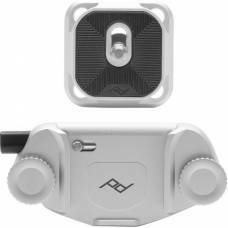 The Peak Capture Camera Clip is the most secure, convenient, accessible way to carry your camera, period. The all-new Capture is the most secure, convenient, accessible way to carry your camera, period. The Peak Design Cuff has trendy leather details and is the ideal solution to keep your camera safe. 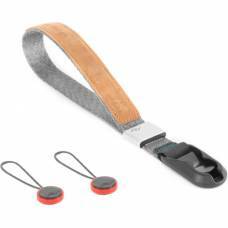 This Camera Strap conveniently secures a camera or binoculars to an adjustable wrist strap. 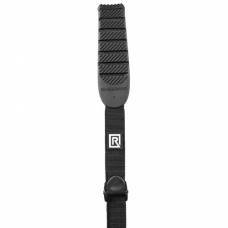 The ergonomic Peak Design professional Slide camera strap is the most versatile 3-in-1 strap. 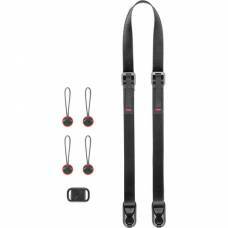 The ergonomic Slide Lite mirrorless camera strap is the most versatile and comfortable skinny 3-in-1 strap. Peak Design's Leash Ultralight Camera Strap is a small, flexible, comfortable mirrorless camera strap. 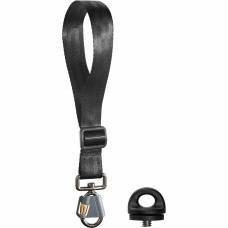 The Anchor Link connection system allows you to use this camera strap as a sling, neck or shoulder strap. This Sailor Strap, classic lieutenant, strong and durable camera strap will protect your gear from falling in a trendy manner. 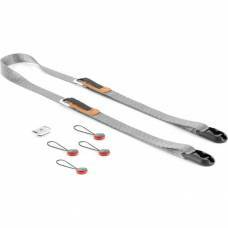 This trendy Handmade camera strap from Sailor Strap will protect your gear against accidently falling. This handmade Sailor Strap camera strap is a trendy yet durable strap to protect your gear from accidentally falling.